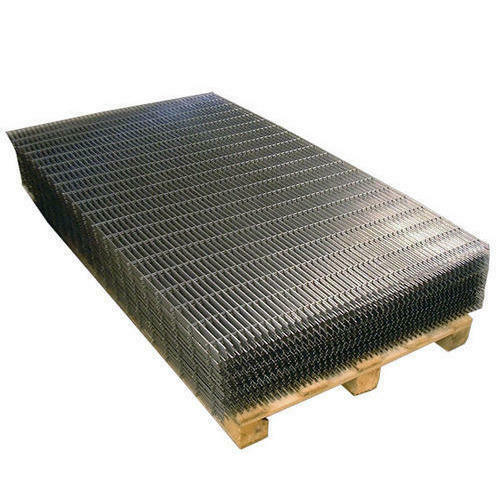 We are offering SS Welded Mesh to our clients. We, Jeetmull Jaichandlall Madras Pvt. Ltd., Incorporated in the year of 1982, take pleasure in introducing ourselves as Pioneer Manufacture, Exporter, wholesaler and trader of Perforated Sheet, Galvanized Sheets, Wire Mesh, Welded Mesh, Vibrating Screen Mesh, PVC Coated Wires, Galvanised Wires and many more. Our large buyer network is spread throughout India with our main office and our factory Located in South India in Chennai. Our Company is a reliable name in various industries that requires premium quality products. We are updated with most modern technology and equipment. The depth of experience is important but so too is planning for the future, A continuous Program of Development and Experimentation is operated to ensure the Highest Manufacturing Standard and product performance. Owing to the dimensional precision, durable standards, perfect design and corrosion resistant finish, our product rage is highly demanded in South East Asia, Sri Lanka, Philippines, UAE & Bhutan.